You can never go wrong with Playmobil for the holidays. Boys and girls can spend hours creating worlds of pretend play with these classic toys! 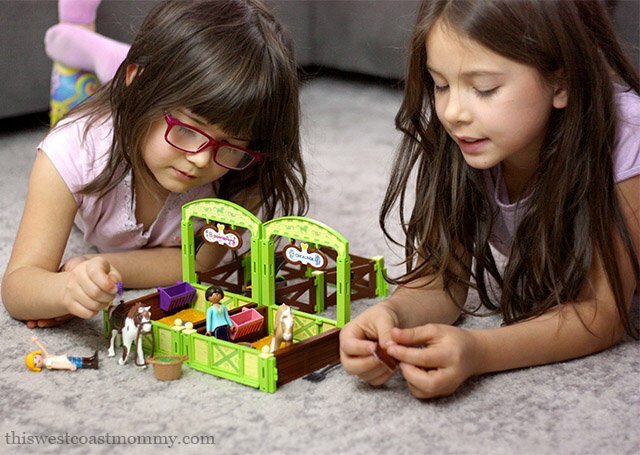 When you give a child Playmobil, you know you’re giving the gift of creative pretend play. Not only do these toys have outstanding replayability, but they last forever! We have a couple of Playmobil sets handed down from my kids’ older cousin, and when we’re done with them, they’ll be passed along to the next cousin or to another child. This year, Playmobil has a couple of new themes that we want to tell you about! 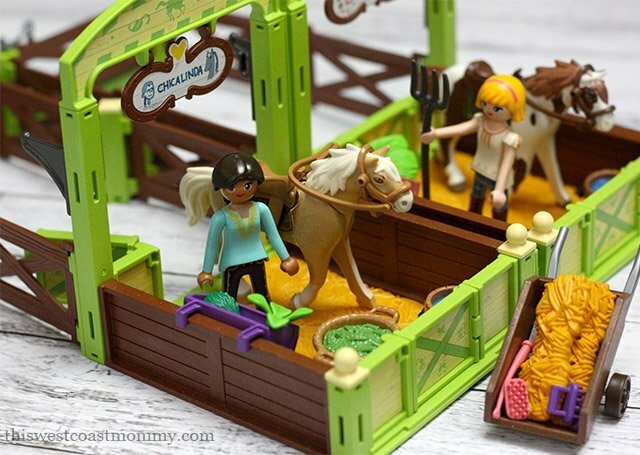 My girls have been watching Spirit Riding Free on Netflix for the last year, so they were super excited to see a whole new line of Spirit Playmobil sets based on the hit show featuring best friends Lucky, Pru, and Abigail and their everyday adventures with their horses. 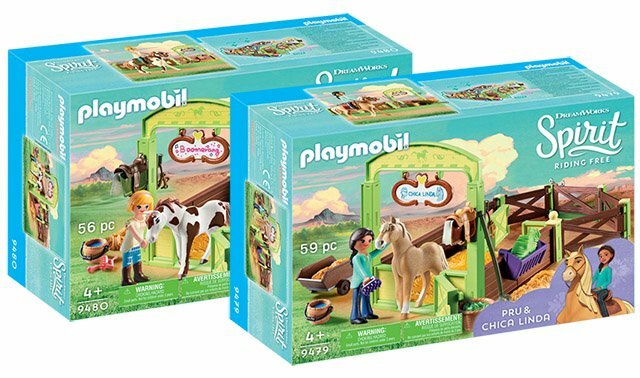 Playmobil has three horse stall sets this holiday that Spirit fans everywhere will love: Lucky and Spirit, Pru and Chica Linda, and Abigail and Boomerang. We had the chance to play test two of these sets and give you the inside scoop. Each set is easy enough for my 6 and 8-year-old daughters to put together on their own, though I’m still the official “sticker putter onner” in our house. The fence pieces can be moved around to create several different configurations, and all three sets can be connected together to create a larger play set. Of course, the best part of Playmobil is all the tiny accessories and details that go into each set. Each Spirit Riding Free horse stall comes with a name plate, blanket, harness, saddle, grooming tools, water bucket, feeder, hay, and a few more accessories unique to each. Pru and Chica Linda come with a pitchfork, hay wagon, and basket of greens, and Abigail and Boomerang come with a few small veggies. My girls like acting out their favourite scenes from the show as well as coming up with their own new stories. I love their creativity! There are three more sets including a giant Lucky’s Happy Home dollhouse that would be the ultimate gift for any Spirit Riding Free fan. Playmobil also has Spirit Riding Free colouring sheets available to download for more fun with these favourite characters. 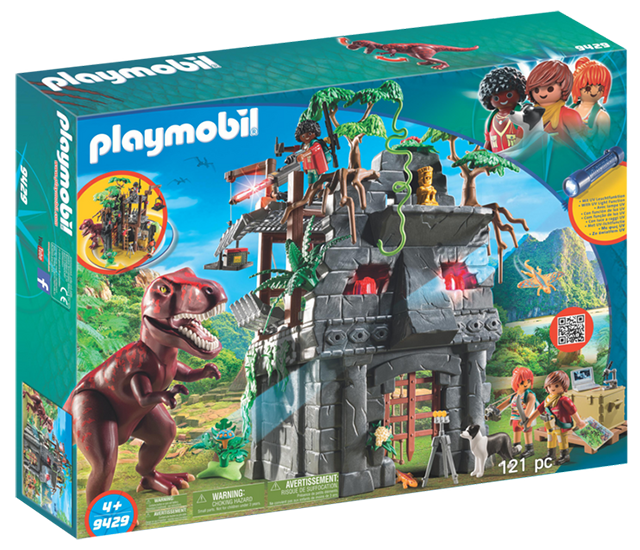 When it comes to Playmobil’s new Dinos (Explorers) line of play sets, think Jurassic adventures on Dino Island. 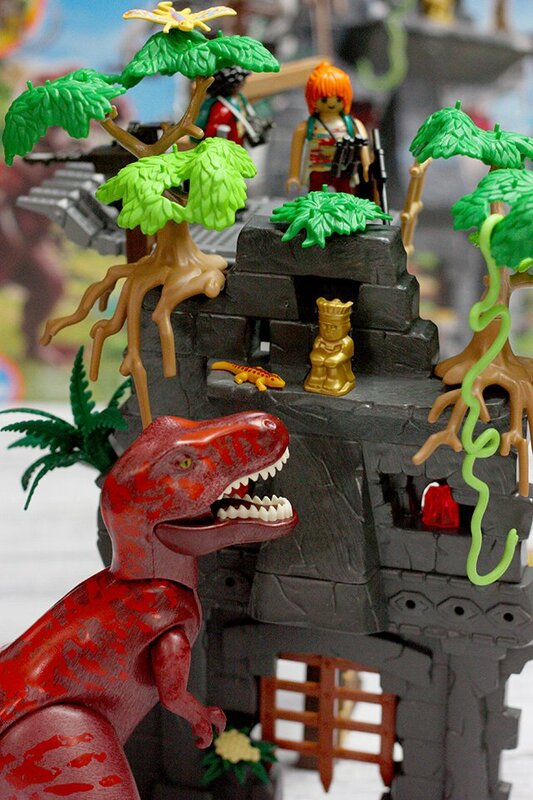 The six new sets all include at least one dinosaur, but the most impressive set is this Hidden Temple with T-Rex featuring a 2-storey abandoned jungle temple and every child’s favourite dinosaur, the majestic T-rex! The portcullis moves up and down, the working pulley moves a freight platform up and down the outer wall, and the laser gun flickers red when you push the button. When you shine the included UV flashlight, the temple’s crystal eyes, jungle plant, test tubes, and wall map glow in the dark. This is a truly gorgeous set with lots of accessories including a golden idol, two animal critters, two chests, a laptop, microscope, set of test tubes, lights, and more. Our three intrepid explorers come with two backpacks, a neckerchief, camera, pair of binoculars, two knives, a rifle, pistol, and a treasure map that reveals the secret path when you warm the heat-reactive print. 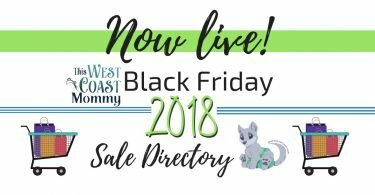 There’s even a friendly black and white pup! The poseable T-rex’s arms and legs move, and his mouth opens to show off his ferocious teeth. Expect to spend about 45 minutes putting the hidden temple together, possibly longer if you’re binge watching This is Us at the same time. The pieces come in seven different bags, but for some reason they’re not organized in order of assembly. So I had to look through all the bags for the step one pieces, then look again in all the bags for step two. Despite the annoying assembly, this is an amazing play set any dino fan will go crazy for on Christmas morning. 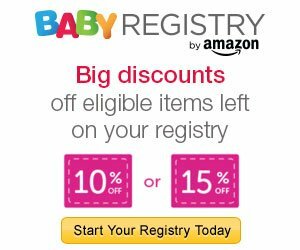 These and other Playmobil toys are available at Amazon.com, Amazon.ca, Toys “R” Us, Mastermind Toys, Indigo Stores, and Hudson’s Bay Company. Connect on Facebook, Twitter, or Instagram, or follow on YouTube. Introducing Disney Princess Jasmine and Royal Dreams Castle! These sets look like so much fun! 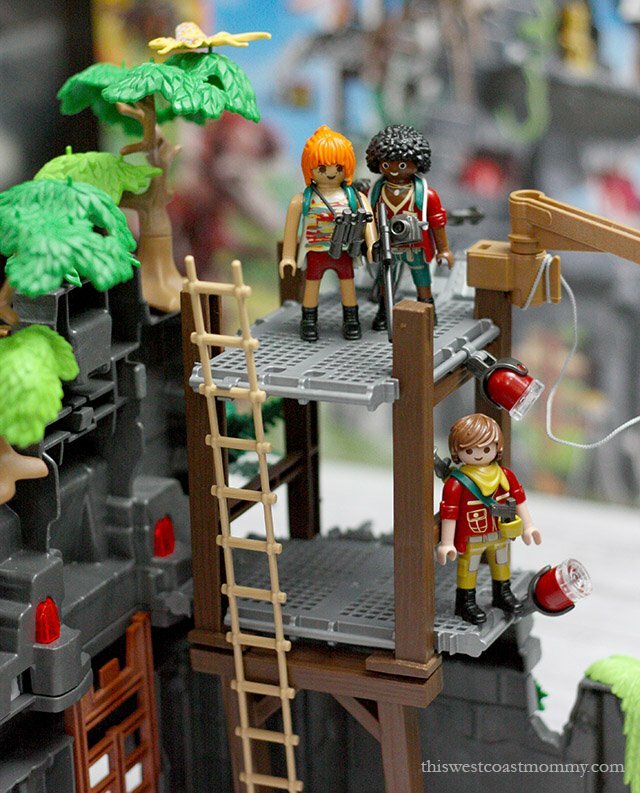 I love Playmobil quality and how detailed the sets are. We love Playmobil dinosaurs. Dinos have been a favourite in our house for many years. I got my son the Hidden Temple with T-Rex for Christmas. 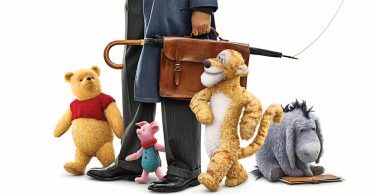 I’m even more excited about seeing him open now that I’ve read your review! 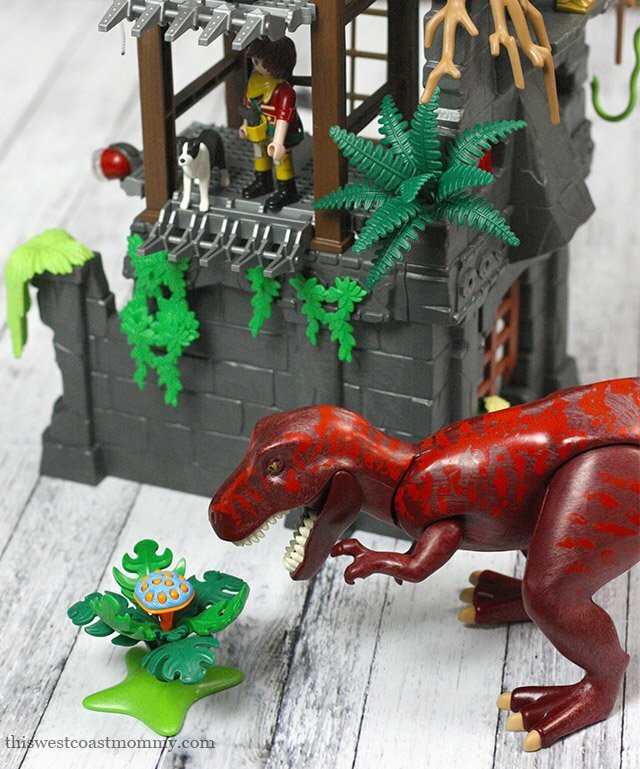 I love that Playmobil has come out with Dinosaurs! It’s amazing all the detail that goes into these sets, they never had anything like this when I was a kid, I ;love that the kids can use their imagination and the fun will last for a long time with these!